The humble automobile is about to go through some major changes. The likes of Google, Uber and Tesla, along with many more, have all been working on what could be the next big thing in personal transportation – the driverless car. But, before it’s commonplace to see self-driving cars on the road, there are some challenges to overcome. First, companies need to continue to work on the technical aspects of self-driving technology, get that technology into cars, and start selling those cars. The second challenge could prove to be much more difficult: companies need to convince customers that they should actually buy or ride in a self-driving car. Over the past few months, consumer trust in the very concept of self-driving cars has seriously eroded in the wake of a few high-profile, and some fatal, autonomous car crashes. It’s somewhat of an awakening – long have companies promised that autonomous cars would not only be more convenient, but that they would also be much safer. Turns out, while statistics may prove that they will be safer, the fact is that driverless cars are not – and may never be – perfect. Skepticism surrounding new car-related technology makes sense. 2016 was the deadliest year on the road in a decade, with as many as 37,461 fatalities in 34,439 accidents. But, initial testing of autonomous cars suggests that wide adoption of the new technology could cause car-related fatalities to plummet, keeping drivers, passengers, and even pedestrians a whole lot safer. Still, because of the skepticism, phasing in autonomous cars is set to be an uphill battle. According to a study by the HNTB, a civil engineering company that largely works on public transportation, 59% of Americans believe that human-operated cars are safer than autonomous cars. Despite that, 70% of Americans expect that autonomous cars will be commonplace within the next 15 years. In a separate survey, AAA found similar results, noting that a hefty 73% of American adults were “too afraid to ride in a self-driving car,” including 64% of millennials, who have generally been quicker to embrace the trend of autonomous cars. Of course, the issue still seems to be somewhat generational. The HNTB study highlights that generally speaking, the younger you are, the more open you are to self-driving cars. Only 41% of all respondents said that autonomous cars would reduce accidents, compared to 49% of millennials. In other words, companies will need to market the benefits of autonomous cars, to be sure, but self-driving car adoption could also just take time – and lots of it. The biggest challenge companies face is the relationship that drivers currently have with their cars, and with driving in general. For many, driving is an important part of life rather than just a way to get from Point A to Point B. Because of that, self-driving car makers will need to prove a real value to autonomous vehicles. Of course, most people aren’t just going to go out and buy a new self-driving car. As with any relationship, trust is built over time, and for many, that trust will be built through short interactions with autonomous cars. For example, many people will likely first interact with a self-driving car through a ride-sharing service from Uber or Waymo. Others will likely experience driver-assisted features like Tesla’s Autopilot before they experience a fully self-driving car. And, as time goes on and those experiences build up, trust should follow. It might also be important for people to start thinking of cars as just that – a means to get from Point A to Point B. For people who already do, the idea of being able to do other things while driving could prove reason enough to adopt the new technology. Driving has become a rite of passage for many, and that very concept is threatened by the self-driving car revolution. It’s likely it will take generations for that idea to completely disappear, but as the relationship people have with their cars changes, the roads will, ideally, get safer. A major factor when it comes to self-driving car adoption is technology, and it’s safe to say it’s being worked on. Google’s Waymo, Uber, GM, and pretty much every other car manufacturer have all become self-driving software companies in the span of a few years. 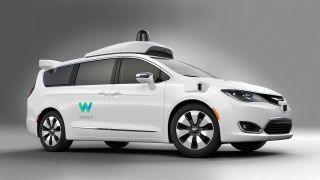 Many manufacturers will end up licensing software from companies like Waymo, while others will instead develop their own. Unfortunately, because of the competition in the space, many companies are remaining tight-lipped on specific challenges that they’re facing. For a successfully safe system, however, that may have to change. “History across many different other types of life-critical systems has shown that to be safe you need transparency on your safety process and you need to do an independent safety assessment,” says Philip Koopman, associate professor of engineering at Carnegie Mellon and an expert on self-driving car tech. The real concern here is that self-driving car tech has become somewhat of a competition. As Koopman explains, many companies are trying to get to market as quickly as possible – which could lead to companies not being as rigorous as they should be. That’s bad for everyone. If a car isn’t fully developed, it could cause accidents, which in turn erodes consumer trust, delaying adoption of the technology in general. That, Koopman says, is why external testing is important – to ensure that, even if a system has been developed quickly, it has been developed to be safe, and able to handle any situation thrown at it. There are a few things we know about the tech, though. For starters, we know that the sensors are key, and that companies are working on more advanced sensors that can take in data and process it in real time. But it’s not just the fact that cars can crash that’s cause for concern. The future of car crashes? Self-driving car adoption is going to be a long and difficult process. Companies will continue to develop the tech, and hopefully they’ll do so in a comprehensive and safe way. But, the other side of that is consumer adoption. The basic equation looks like this: safe and well-developed cars + time = self-driving car adoption. The safer the car is, the fewer accidents we’ll see, and the faster consumers will adopt the tech. But, regardless, it will take some time. Most people will probably buy a car that has self-driving features before they buy a fully autonomous car. At the same time, they might be riding in self-driving Ubers. In the meantime, it’s unlikely early estimates will hold true. Sure, some self-driving cars are out there, but we’re not going to see full adoption for quite some time. One-hundred percent adoption may not even happen in our lifetime. One thing is for certain, though – ready or not, self-driving cars are likely to hit the road soon, and early tests indicate that they should help make the roads a whole lot safer – though only time will tell.